Montrose or Monty was born on 6 August 1892 (birth certificate number 1892/9055) in Aratapu in the northern Kaipara region. His birth is registered in Helensville. We do not have much his early years, but we expect that it would have been similar to his other siblings. The first mention we have of Monty is in the season trial match for the Ponsonby United Rugby League team listed in the Auckland Star on 5 May 1911, interestingly it indicates 2 Stanaway’s in this trial match. (We know John has retired, Alexander plays for City Rovers (or perhaps he switched after the trial), potentially this leaves either Charles or Len – we suspect it was Charles, Len being most likely too young). The New Zealand Herald stated on July 21, 1911, Monty being selected for the second grade Ponsonby United team. From the New Zealand Herald 26 August 1911, we have Monty being selected in the junior ranks for the Auckland Rugby League teams, on this occasion he is selected to play in a curtain raiser to Auckland v Nelson in which his older brother Alexander has been selected in the forwards for Auckland. The Auckland Star on 18 September 1911 details the final of the Auckland Rugby League Championship. This game is between City Rovers and Ponsonby United. This game features Monty playing for Ponsonby and his older brother Alexander in the forwards for City. Both brothers are mentioned in the article, with outstanding play. The result was not so good for Monty, not only are City victorious but his brother also scored a try against him. On 6 October 1911 Monty, aged 19 (not 20 as stated on the marriage certificate) marries Muriel Beatrice Victoria Featherstone, aged 22 (sister to Millicent who married Charles Stanaway) (Marriage Certificate number 1911/7043), they were married at the Registrar’s Office in Auckland. Monty is listed as a Mill hand. On 16 April 1912, Monty has his first child Eileen Ellen born in Parnell, a year later on 25 June 1913 they have Leonard James Montrose. At this same time we have them living with his parents at 69 Symonds Street, Auckland. Monty is recorded as being in the 1912 Ponsonby United Rugby League players. The 1912 Ponsonby squad included: Arthur Carlaw, J Chorley, Charlie Dunning, W Hooper, B Kean, Pip Webb, V Hunter, Tom Lynch, Scotch MacDonald, Harry Oakley, M Stanaway, Syd Riley, Billy Tyler and J Warner. The 1915 Otahuhu Football Club annual meeting, mentions three Stanaway brothers, John (Jack) is part of the selection committee, Alexander and Montrose are both on the club committee (Auckland Star 24 March 1915). On 6 August 1915 Monty has boy-girl twins, Millicent is born first, followed by Montague. Montrose is listed in the 1917 WW1 Reserve Roll, he is listed as a Fellmonger and living at 24 Pompallier Terrace, Ponsonby, Auckland. Fellmonger – from the sheep industry – is the process of removing wool from the skin after it has been removed from the carcass, and treating the skin for eventual conversion into leather. 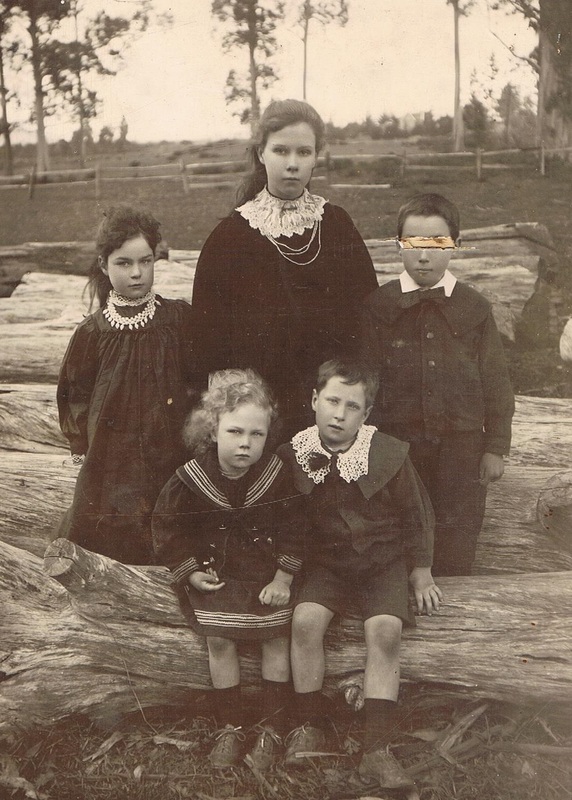 Back row left: Eileen, Unknown (possibly cousin Florence Annie Buckworth – Emily Annie Stanaway’s daughter), Len with the twins Millicent and Monty in the front – Adams Family Collection. From this we see that the family may have moved back with his mother who was still living in Symonds Street (William having died two years earlier). By November that same year Montrose is admitted to hospital suffering from a bad case of the flu. 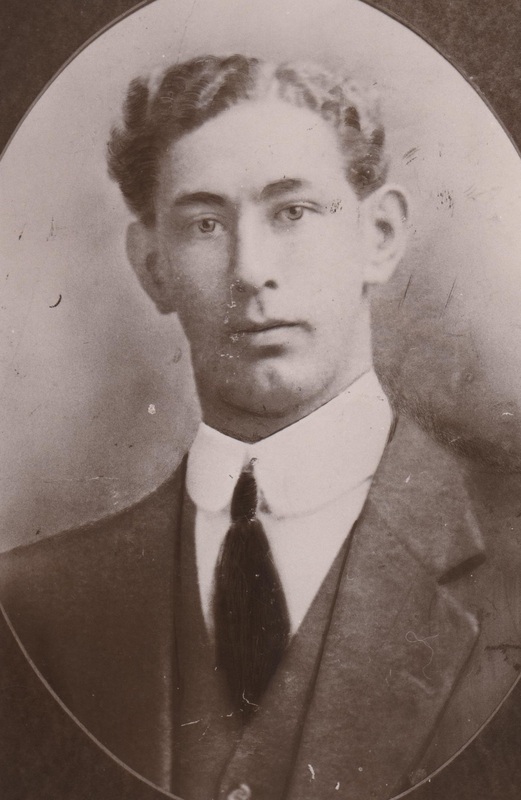 On 9 November 1918, at the Auckland Hospital Montrose dies of Influenza, aged only 26 (Death Certificate number 1918/228) leaving a wife and four young children. He is buried at Waikumete Cemetery Anglican Division F row 8 plot 40 the same plot as his late father William (D 1916) and next to his nephew Charles Frederick Daniel (D 1915). Any headstones for these graves has, due to time and neglect, have long since vanished. “In fond and loving memory of my dear husband Monty Stanaway, who died of double pneumonia on November 9, 1918. Those who love you sadly miss you, as it dawns another year, in the lonely hours of thinking, thoughts of you are ever near. Ever remembered by his loving wife and little children. It does appear that her sister Millicent stays with her for a time after the death of both husbands (brothers) – evidence is that Charles’ medals are delivered to Millicent at 24 Pompallier Terrace Ponsonby. 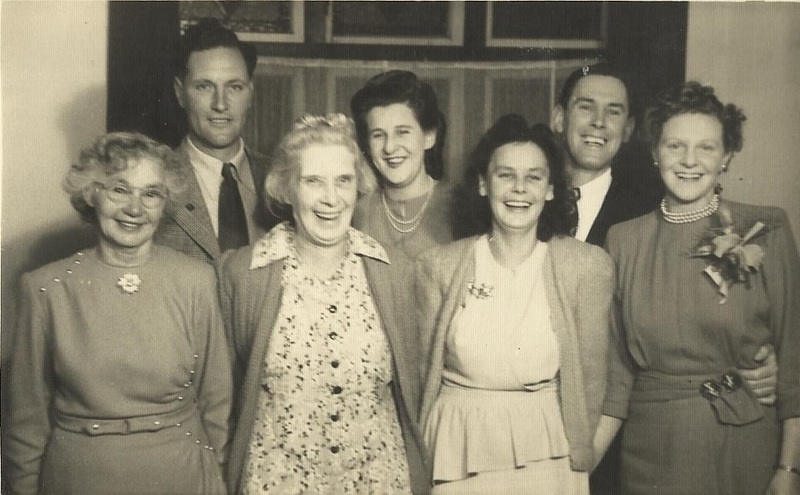 Monty’s Family – back row – Len, Clem, Monty Jr, Joy – Front Row Ida Daniel, Muriel and Millie. – Barney Daniel Collection. 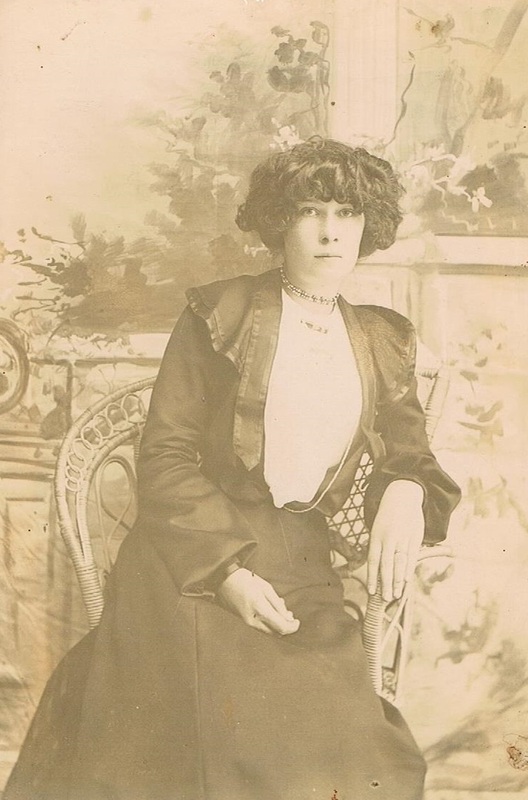 Muriel Beatrice Victoria Stanaway does not re-marry and dies in 1952 aged 65, her ashes are scattered at the Waikumete Cemetery. The photo bomber looks like a young version of Muriel Featherstone, the children’s mother.